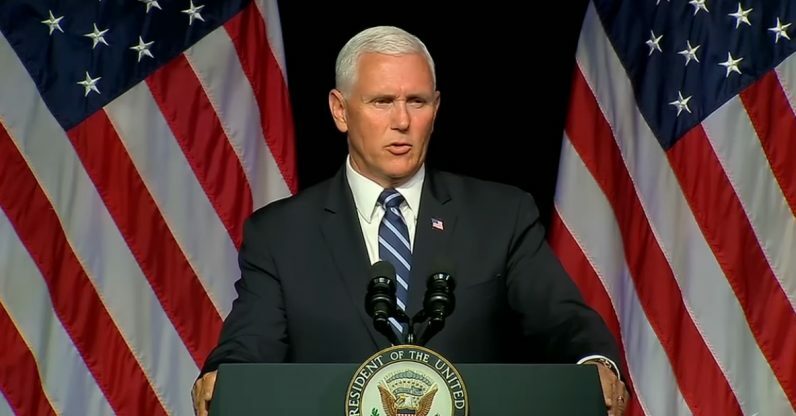 US Vice President Mike Pence, speaking at the Pentagon today, revealed more details about a proposed new military branch, a “Space Force.” While we’ve known this was a project of the current administration, we’ve only today received details about how, exactly, it could actually be realized. According to Pence, this militarized Space Force would be part of the Defense Department, and they intended to create it by 2020. Pence also said President Trump would request $8 billion to spend on the space security systems over the next five years. I don’t claim to be an expert in governmental spending by a longshot, but I suspect that might cost more than $8 billion. President Trump has been teasing the idea of the Space Force for quite a while now, and was quite enthusiastic about it on Twitter. In June, he directed the Pentagon to create the Space Force, but it wasn’t until today we learned details about what the creation of the new branch will be. The Space Force, which would “prepare [America] for the next battlefield” would be the first new military branch in 71 years — the Air Force having been established in 1947 — and Congress would also need to approve it before it could move ahead. Pence said the Department of Defense will reveal a more detailed report later today.